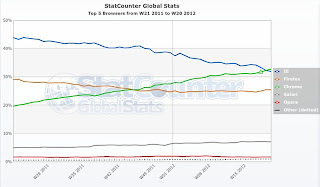 For the first time since its release Google Chrome has become the most used browser in the world, leaving behind Explorer in its market participation during one week in May, according to the analysis company StatCounter. The rise of Google's tool in the latest months, this company says, would be inversely proportional to Internet Explorer's fall. Chrome has gone from a 19 % penetration by mid 2011 to reach almost 33 % in the third month of 2012 turning itself into the most popular browser in America, while in Europe Chrome has been ahead of IE during the last two weeks, but just by 1 %, and Firefox stands beyond them. It turns out that figures in the world get inclined by two regions: Asia and South America, and still these numbers might not be the expected ones. 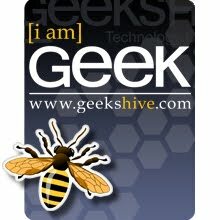 IE goes forward in Japan, with a 50 % higher quota. Things are sharper in China and South Korea, where three quarters of traffic come through Microsoft's browser. Chrome stands on top in India, but only by 8 percent. The actual difference appears in South America, where Chrome takes a share of almost 50 % in general. Some believe the reason for its extensive participation there is the popularity of Google Orkut social networks services. 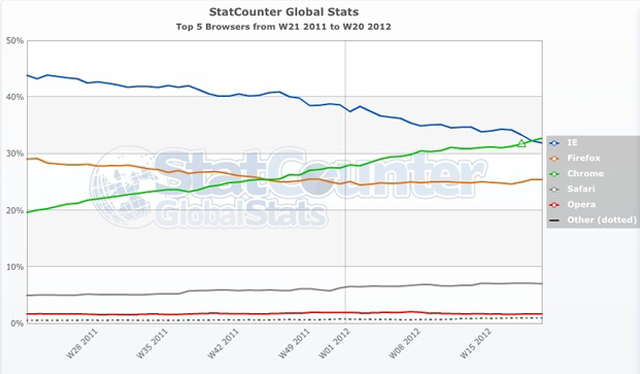 Chrome could be the most popular browser worldwide, and this is a clearly rising trend.